I just looked at the last entries date...how time flies when you're having fun. It has been a busy week. Weather was so-so, not Spring like yet but tolerable and I was able to get in two rounds of golf. They were also so-so. Must be a trend. Quilts of Valor took precedence this week we have like over 40 presentations on the books here locally so a lot going on. I will be posting about our concept as to why we keep our work with Quilts of Valor on the local level instead of sending to locations overseas. Anyway, busy week. nor did we get the upgraded stitch regulator for our longarm, dubbed Lightning Stitch. Not to mention no need to raise and lower it (electric lift), move it around (caster set) or need something to advance the quilt (power feed) besides 'arm/hand power.' So we left a lot of money on the table so to speak. We were aware of having to light up the work (quilt) as well as the work space of course. But at $875 the light bar was a bit extravagant and limiting; having seen it in application we knew it was well designed and manufactured but just too prohibitive in cost. As with many other DIY Treks...hello Lowe's and Home Depot. We are, let's say lucky, both in the size of the space we have for the power tool (longarm) and the actual room arrangement. It made it simple as to where to mount the lighting so as not to cast shadows onto the quilt during the longarming process, something I noticed the overhead lighting did do, and enable the work (quilt), as well as the work area to be well lit. and although small it does a huge job...along with the little mirror...well together they form the Thread Tension Inspection Quality Control Unit...and they work pretty cheap...didn't cost a lot to assemble, readily available, no mounting brackets or camera's, monitors or other electronic hardware required and very effective. Not to mention...it can light up a room when you walk in if all other light sources are off. Yup...just the flashlight...I call it my CSI Light...I mean really you've seen the stuff they find with those lights. If there is one thing in this modern world that has saved us more money than I can add up...well it is the internet. With very little effort, in the warmth and comfort of my own home, with a cup of coffee and the dogs at my feet I can shop, compare, bid, ask questions and buy...Amazon loves me. Although this is somewhat brand specific as it relates to our Innova Longarm it could easily apply to those that use another manufacturer's machine. There is a combination that has quite a bit to do with my purchasing decisions...one is the competitive market, and two is standardization. One...standardization guides the other. One reason I do not own an Apple product. Proprietary is not only hard to spell but hard to swallow. It is standardization within the sewing machine industry that solved our little problem and saved us a bundle...I'm hoping our experience will help others do the same. Caution...even standardization has it's limits...in this case size, not design or the method used by manufacturers to engineer the mounting requirements of the bobbin case in their machine...There are different M Size Bobbin Cases...for us our research lead us to the Haya Brand Case. Once again I have to lay out the disclaimer...This has been our experience and in no way relates to the quality of the product, the experiences of others or our satisfaction or dissatisfaction with what was delivered. If we didn't have trust and confidence in ABM the Innova product we would be longarming with a Gammill. We experienced a very loud and annoying 'bobbin noise' from the beginning. ABM responded to our concern with the recommendation of using more oil. We were first instructed to place a 'drop' in the mechanism where the case and bobbin are loaded. ABM found this was not an efficient amount and changed its recommendations. Using more oil helped, changing to a synthetic oil helped even more. But the noise and frustration continued. At the same time we were dealing with thread tension issues and were watching numerous videos relating to these issues. One of the Innova dealers was doing a video demonstration and it was observed they were using the steel bobbin case, the one with all the holes drilled in it, you know the one Gammill uses...there I said it. Well I went to their web site...found the Haya Bobbin Case for $15 and the black steel bobbins or the chrome steel bobbins for $.50. Have I mentioned I am always looking for a deal. If it's good enough for a dealer it's good enough for me. (You can find M size bobbin cases online via any search engine...I have found them for $12.50 to $50...we settled on the $15 price tag because of the vendor we put the most faith in.) To purchase from our distributor or the manufacturer our cost was $49. We now use the Haya Bobbin Case and the black steel bobbins...the noise is gone...the only sound now is that of the machine doing its thing...what I refer to as the Sound of Silence...I even wrote a song about it...only kidding...the lawsuit would be devastating. The little red aluminum bobbins have been retired in our Studio, we still use the bobbin cases that came with the machine...the differences between the cases is insignificant based on our experience. The only difference we noticed was the 'throat' opening The Haya on the right has a slightly different opening where the one edge is beveled. The cost was not. Elaine has a saying...shop till you drop...we're talking about someone retired from Nordstrom...well when it comes to accessories, whether clothing, sewing, tools, golf, motorcycles or longarm machines...it's good advice. Side note to other Panto Vision users, this would apply to tablet/computer mounting brackets also. We use the one that came with the machine. I had to modify it so as to fit our tablet, it has a 12" base...had we shopped we could have saved at least half. But I must admit the quality of the one supplied is very good. If ABM/Innova did only one thing right it would be their homework...but they do much more than that; and that is why we longarm on an Innova. 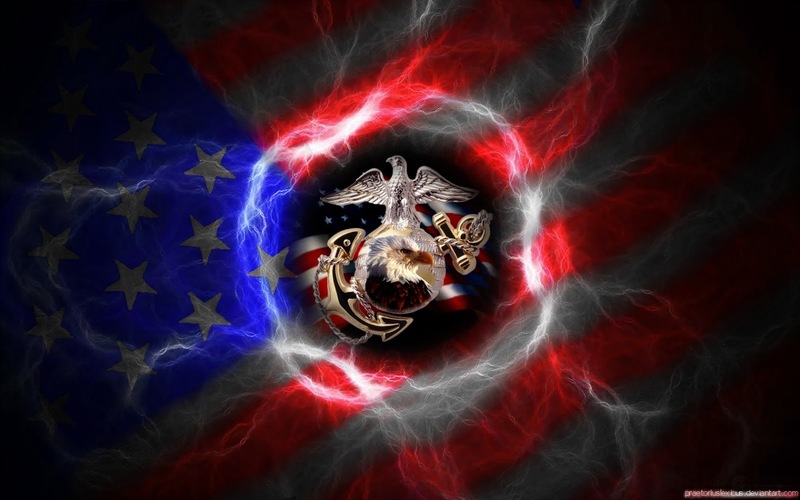 I'm going to have to admit to being somewhat committed to our military, and particularly the Marine Corps. Our son is third generation and the only career Marine on my family's side. He has an Uncle on his Mom's side who served proudly for 30 years. So yes, I have a bias and some prejudicial beliefs as to which branch of military is in fact the standard that all others try to achieve...overall the others are doing pretty well...I would have to say they are all tied for second place...but that's just me. 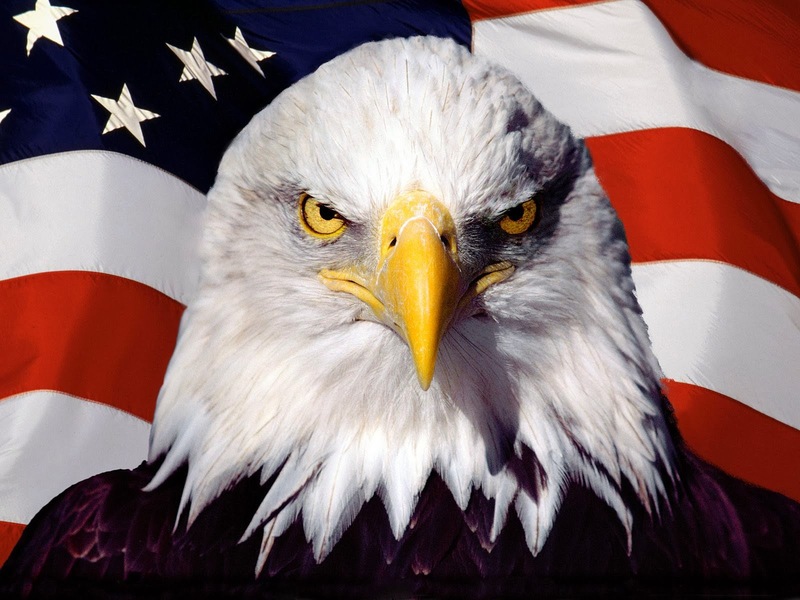 But please, never, ever degrade or bad mouth any branch or member of our Armed Forces in my presence. I said please. And that brings me to why I got so committed to longarming. You thought I was going to rant huh? Elaine is the coordinator for Quilts of Valor for our local Guild. It was watching her and others cutting, piecing, sewing and quilting these 'Tokens of Appreciation' for our servicemen and women that first caught my interest. This small tribute to those suffering the wounds of battle, the invisible traumas of war and the sacrifices for freedom that they made were being recognized...and if you think for one minute that this small recognition goes unnoticed and is not appreciated by the recipient...oh how wrong you are. The wounds of not being recognized are deep and permanent...honest. With my interest peeked and the annual quilt festival on the horizon I had no hesitation when asked if I would like to go when she invited me along last year. And there I met Innova and Panto Vision, well you all know how I feel about computers and power tools, and please...in the same package...the rest is history as they say. I have probably quilted since November in the neighborhood of 40 quilts for Quilts of Valor, and a half dozen or so for Project Linus. QOV info can be found at www.qovf.org and Linus at www.projectlinus.org. There are chapters just about everywhere. If I could explain how much it means to work on a quilt for either of these organizations I would...I can't. I titled this Volunteer Quilting...I have heard many call it 'charity quilting.' By definition I guess it fits. I'm just afraid in both of these cases QOV and Linus...I'm working on a gift of hope and appreciation for some of the strongest people that occupy this planet and my charity they don't need, what strength I can share they do. But that's just me. So with that said it is Show and Tell...here are just a few of the quilts we have had the pleasure of working on over the last two weeks. And if you get the opportunity to volunteer your talent, sew a stitch or two, cut a strip, make a star or longarm a sandwich...jump all over it...it will not only make a difference to the recipient, but oh how it will make a difference in you. I don't think I can tell you how much fun this one was (above and right)...Just enjoyed the patterns and color to the point of stupid. Oh just for the record...it was designed and pieced by a Lt. Commander, active, United States Navy. This is another Linus...it has Elmo on it and well, like my granddaughter says..."You can't have too many Elmo's." And she is never wrong. Well it is Thankful Thursday and normally golf day...but not with flurries in the forecast and below 40 degree temps. I guess I'll just have to stay home and enjoy the company of other guild members...We QOV Sew In every Thursday at our house...well Elaine does, I normally golf on Thursdays...don't you just hate it when all you can do when you can't golf or ride the motorcycle is longarm...It's tough, but someone has to do it. So if you want to make your own patterns, maybe you've seen a drawing that you think you want to turn into a pattern, or a picture you would like to trace to design a pattern, III is the tool. Oh it will do a lot more...a lot more...but for now it does all that I wanted...and then some. Check it out Pre Design Studio III from the makers of Art and Stitch. Well it will never go away...We have discussed this before and more than anything this is for a little clarity. As previously stated we use the Jamie Wallen demonstrated 'bobbin lift' to check bobbin tension...I guess I should mention...after we have set the bobbin using the Towa Gauge. I would say the Bobbin Case finds the Towa once or twice a month at least. Like moving from cotton or blend fabrics to T Shirts, fleece or flannel and the occasional check to see if anything has loosened...just routine. 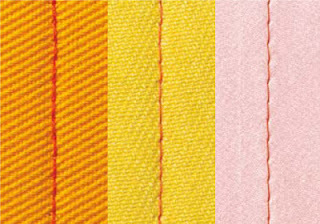 Also as stated we record the settings we rely on for the tensions that provide the best quality stitching. superiorthreads.com provides a 'blank' form you can use to document your settings. And that brings me to Superior Thread...If you haven't signed up for their email newsletter we feel you are missing on some good information. Maybe that's just us, but we think Superior not only produces some really great threads, but they are an excellent resource. 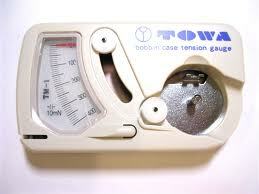 And that brings us to this months newsletter and their special pricing on the Towa Gauge...$59...I have seen this gauge from this price, the lowest I've seen, and up to $119. If you haven't purchased one this would be a good opportunity. Well like Porky Pig says...That's all folks. Like we say on occasion...Quilt till you wilt. If you're interested we can also be found on Facebook...search 'We Quilt'...thanks for listening, or reading as the case may be. This is one of those things I brought in from the garage and my woodworking. 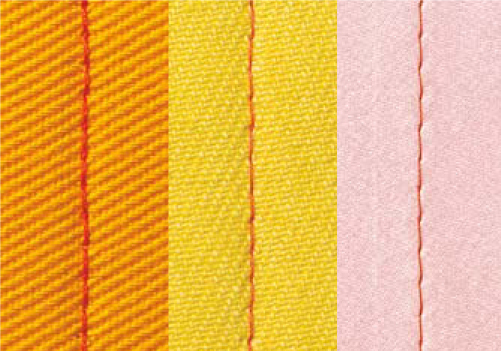 One of the first things I noticed about longarming and quilting...'straight lines' lots of them. Square is good, or rectangle but trapezoids can be problematic...especially when it was supposed to have evenly measured top/bottom&sides. I know it looks like a big red quilt...but when one end or side is narrower, wider, not the same, however you want to call it, problems can develop. I know at some point after I'm done longarming someone is going to come along and 'square' it up. But if it is not as right as I can get it loaded and quilted, squaring it up still may not make it right. So to aid in that I use lasers. These are two that I currently use. They were both purchased at Home Depot...sometime ago...and each have their own function. The lower easily attaches just about any where, via magnet or double stick tape and can be used for squaring up tops, sides, along seams and can be attached to the head and will project the line onto the fabric. 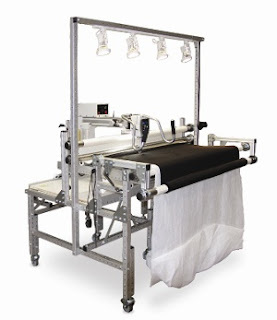 The larger one is very adjustable, has an adapter plate to connect to a tripod that can be set up off of the machine and table eliminating any vibration caused by the stitching process and holds the line steady. Here the laser is attached to the head. I put a piece of paper to simulate the fabric to show the line and how easily it's path could be followed by the needle. There are numerous ways it could be mounted to project the line and direction you want to go. Here it is mounted to the front projecting the line front to back...you can see the line on the plate, I didn't put the paper in. Oops. There are also a couple of photos on the Potpourri post that depict the laser being used to check the accuracy of the quilt on the machine prior to longarming. Maybe it's just me...and we all know I'm not a big fan of basting...but if I get it started straight, my chances of finishing straight are greatly improved. Please, if you baste, and many do, top to bottom down the sides and left to right at specific intervals that's great...I prefer to float, from start to finish and just take a different route. Can I get away with never basting, I wish...but that's not reality. I saw this one on ebay for like $6.50...in all appearances it looks like the smaller Ryobi I use...just Orange. I guess one of the reasons for this blog thing is to share ideas, thoughts, concepts and opinions, in some cases even if they aren't requested. I've always said if you don't want mine...don't ask...even then there are no guarantees. With that comes this post...and not a soul ask. My standard disclaimer...there may not be one other longarmer, Innova owner or operator, or the owner or operator of any other longarm machine that has had one or any of the situations we have encountered. But if, just in case someone has and what we have found out and shared here on the blog helped...well that's the whole idea behind this. Use a 'pants hangar' and just hook the side clamps to the hanger...there are numerous types of pant/skirt hangers...even those little plastic cheap ones with the little silver slide lock work well. Red Snappers...I've heard several comments about hard to install...I have to agree in part. Attaching the quilt to the lower/front bar can be a pain and if someone suffers any type of arthritis it could be difficult. We installed a longer leader (a top/back bar leader Innova) on the lower bar. It allows the leader to reach the table and permits installing the Snappers by using the whole hand to press down and not relying on finger/grip strength. If you stay with the short leader...once you get the end of the leader with the Snapper tube positioned on the bar where you want it...attach several magnets to it and it will remain in place to clip on the retaining clamp of the Snappers. Here's one of those opinions you didn't ask for...If you don't have Red Snappers...sorry. I guess zippers would be my second choice, and I prefer my blood flowing within my body so pins are totally out of the question. 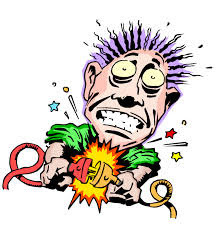 Bobbins...we can't speak for anyone else, nor can we relate to you how embarrassing it is to answer the question..."Are all Innova Machines this noisy?" We have a terrible bobbin noise, (as of yesterday evening HAD) the rattle transfers through the machine and is amplified. This has been going on for some time. I even made comment of it on a yahoo group. The manufacturer called and recommended more oil, the 'drop' we had been told to use was not enough. It helped but did not alleviate. Tried 'genies', took out the little spring in the bobbin case and have since purchased a steel "M" bobbin. Here's what we know so far...and along with getting the proper bobbin case tension figured out the standard "M" style bobbin, in the bobbin case with no genie, no spring and a good oiling (we use Mobil 1 0-20WT Synthetic) is the quietest...We have a close friend that has a Gammill...her noise level is our goal...all you hear is the hum of the motor if that makes sense. We feel we are as close as we are going to get considering we are on hardwood flooring and her Gammill is surrounded by wall to wall carpet...acoustics does play a roll. Found a dealer that sells the steel "M" style bobbins for .50 cents...will be buying quite a few. They even use them in their machines with the Haya Bobbin Case. The little red aluminum ones, for us, are just too light and seem to be 'clangy-ier' than the heavier steel M's. Thread Tension...there is no answer, no right way, no wrong way, it's not my way or the highway. If you like what you see when you take if off the machine you had it set perfectly. Quick...list all of the things that affect thread tension...You can't...it's too long a list. I mean like how many different types of batting are there? There are all kinds of ideas and concepts...Jamie Wallen's bobbin tension system works pretty well; full proof? Of course not. That is what we use most of the time...We also use and record our tension with a TOWA and have the Superior Device for top thread tension. I have been told and seen online usage of a Berkley fish scale used instead of the Superior Top Thread Tension device, available at Walmart for just under $20. I and the wife have spent hours watching videos and reading articles and have not found the definitive answer...I think because there isn't one. But I found this article, written I don't know when,and updated in 2008, that is pretty good and probably one of the most thorough. I took away a couple of good thoughts. There is quite a bit of information here that we have found to be beneficial, not only about tension, but also to our quest of quality and efficiency in the longarming process. Someone ask me how I check my alignment of the quilt before basting...and as I go along. I guess I just figured everyone used a laser level. The one I use can even be attached to the machine, via magnet, for a guide inline with the needle when doing straight lines. And although I have rulers for truer precision, just following the laser line for many patterns works well. Okay enough for one day, I've got a quilt on the machine and four waiting. Make it great and Quilt till you wilt. Sew, it is time to share. I guess depending on your guild it can be called one thing or another...ours is Show and Tell...so here is a STAR. If you know the real name and or designer don't hesitate to comment. 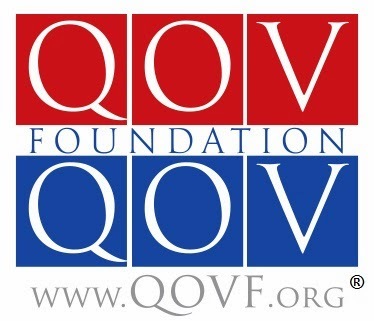 This block was discovered in a comments section of qovf.org. Finished Block and how did we get there...and please tell me it's easy...Okay...It's easy. Now cut the 9 patch block as you would a disappearing 9 patch. Cutting it in equal segments vertically and horizontally. Now place a 3" square on the ends of each colored rectangle. Sew the square to the rectangle on the diagonal from outside edge to outside edge. As per left section shown below. The right section shows the square after trimming and then folded over. Press seam. Sew the sections of your 9 patch back together. Be careful to match your seams. Hi there...Les here...I need to put my two cents in...as the longarmer it's okay with me if you press all of the seams open...thanks bunches, well for eliminating bunches.